Occasionally I would work on stretched canvases but I am partial to rigid surfaces because they are less prone to damage, such as ripping or moisture damage. The latter would depend on the materials. Most panels are less prone to damage, but they still could be damaged if you deliberately inflict a damaging blow on them. Sometimes I would use an aluminium composite panel, such as Dibond brand panels. Any well-made aluminium composite panel would do. Aluminium composite panels are favoured because they are recommended by art archivists. According to them, they are less prone to environmental changes and therefore fewer chances for the paint to crack or delaminate due to expansion and contraction. But for this post, I am focusing on wood panels and how I mount them on a floater frame. 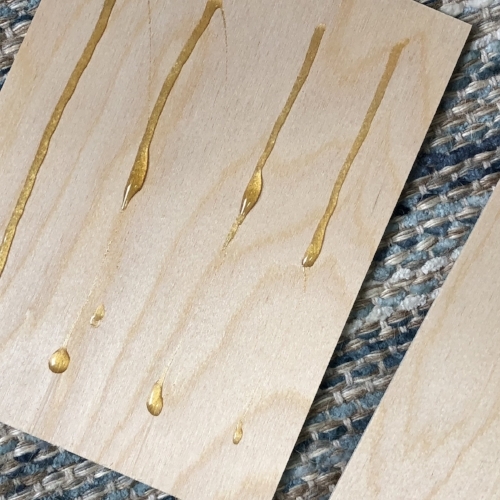 One-eighth inch thick balsa wood panels. In this example, I have an 1/8-inch art panel to mount to the floater frame. 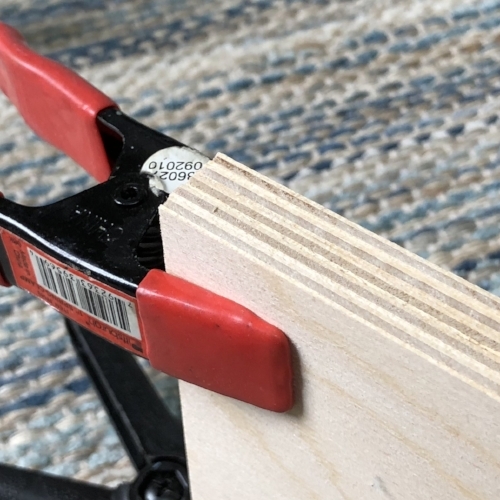 So I needed up to 5 balsa wood spacers which I glued together using a strong wood adhesive. With glue in between each balsa wood spacers, I carefully aligned them and clamped them to set overnight. But I have to be careful because after the glue sets I cannot make any adjustments! The next day, I used a painting knife to scrape off any glue that squeezed out on the edges overnight. When I am sure that my painting is safe to handle, I apply glue to join the art panel to the spacer. Here is where I am extra careful because I do not want to apply too much pressure on the painted surface. For example, if there are some passages in the painting where it is thick, I do not want to flatten them with too much pressure. So what could I do to reduce or eliminate the risk of damaging the painting? I bought dense foam paddings that were meant to be placed under furniture to protect the floor. It has a felt-covered side which I position to face the dried painting. After carefully positioning the painting on the spacer, I placed another panel on top of the dense foam padding, and I carefully clamped them down. Since the glue is still wet, the panel could shift, so I would carefully reposition the panel as needed as I tightened the clamps. Again, I have to be careful because when the glue sets I cannot make any adjustments! I only get one shot. The assembly has dried overnight and it looks like I did not make any regretable mistakes. Phew. Now I can mount my raised panel to the floater frame.